The Facebook wunderkind has done it again. 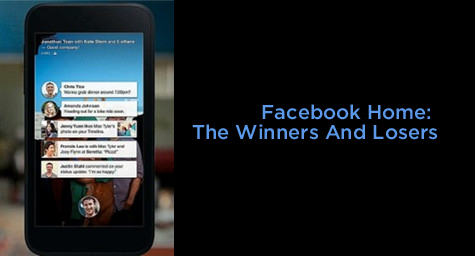 On April 4, 2013, Mark Zuckerberg, CEO of Facebook, announced his plans for a new mobile Facebook integration for Android phones. “Facebook Home” transforms Androids into a fully integrated Facebook experience. Mashable.com quoted Zuckerberg, “You’re going to be able to turn your Android phone into a great social device. Our phones today are designed around apps, not people. We want to flip that around.” Techcrunch.com weighed in on the pros and cons of this new Facebook service and its pending effect on the mobile phone industry. Facebook Home essentially takes over the Android interface. It swaps out the Android homescreen and lockscreen with photos and updates from Facebook and Instagram. Aside from SMS, all other social applications are hidden from the user. Facebook is the overall focus, transforming phones into social media-driven devices. Facebook will utilize its huge base of roughly 680 million mobile users to introduce Home. Mobile Facebook users will receive a message from Facebook inviting them to download Home to their devices. Instead of rummaging through an app store and downloading the application, users can download Home directly from the source. This approach, along with the Facebook-infused Android homescreen, will make it extremely difficult for mobile startups to permeate the market. Although “Home” may come at a disadvantage to certain mobile services, it could revolutionize mobile advertising. On a Facebook-dominated mobile device, ads via Facebook would be unavoidable. Top of screen could equal top of mind, and with a Facebook-central mobile device, everything is at the forefront. To learn more about the power of social media, contact MDG Advertising today at 561-338-7797 or visit mdgadvertising.com. MDG Advertising, a full-service advertising agency with offices in Boca Raton and New York, NY, is one of Florida’s top creative ad agencies. Our 360° approach uses just the right mix of traditional and digital marketing to reach your advertising goals. While some industries may fare better in print and others online, we strive to create a balanced approach, where traditional, digital, and social media marketing efforts support each other and your message is tailored to the medium. Our core capabilities include branding, logo design, creative, digital marketing, infographic development, integrated media plans, print advertising, radio and TV advertising, online video, Web design and development, email marketing, social media marketing, and SEO. Read more at Mashable and TechCrunch.